BWI Eagle designs and manufacturers industrial wireless remote controls that operate any electrical equipment or machinery. We use only the best 2.4GHz and 900MHz Spread Spectrum technology to give ultimate reliability in both short and long range applications. All products are FCC approved and require no user-site license. 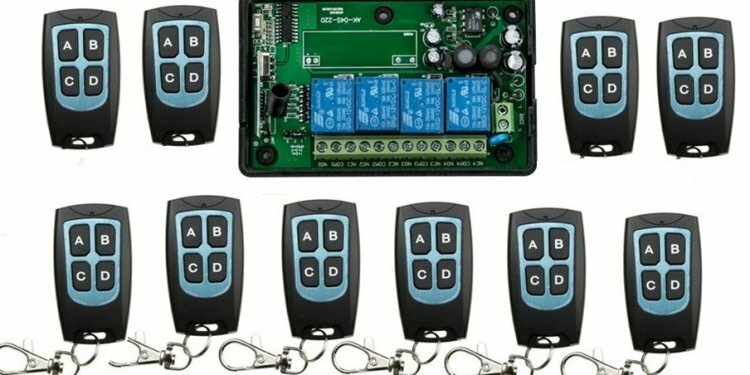 An industrial wireless remote control system can consist of any number of remote control transmitters and wireless relay receivers working together. Multi channel units provide the flexibility for numerous functions and user selectable network frequencies allow multiple systems to be used in one area with no interference. Transmitters can be handheld for manual activation or stationary to be triggered by dry-contact inputs for automatic activation. Receivers are equipped with SPDT dry contact relay outputs capable of switching 5 amps. With a few details about your application, we’ll custom tailor each system to perfectly fit the requirements. Specialized relay programming is offered at no additional cost and every system comes with unlimited technical support and a money back guarantee of satisfaction. Our industrial wireless remote controls are designed and built right here in our Butler, PA facility. That gives us the flexibility to customize our systems to meet your needs directly. We carefully listen to your application description and will specify the most cost-effective models from our product line to suit the requirements. We can even add hardware to provide a totally “turn-key” solution. Feel free to contact our technical advisor, Sandy Jesteadt, to discuss your needs.